Before they were known as Smithfield Fair, they were the acoustic & vocal quartet Charmer (1973-1989). Jan, Dudley and Bob were members with Bob's twin, Joel. 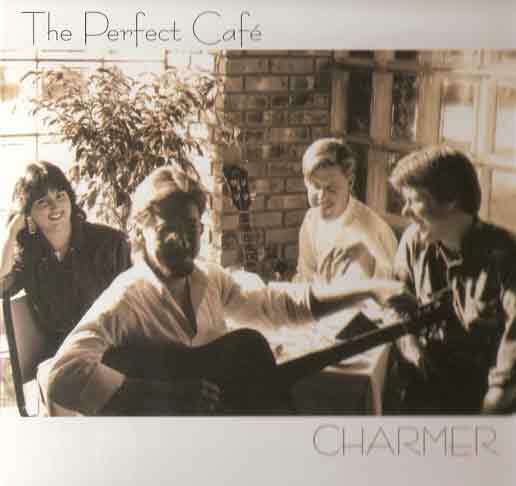 On the 35th anniversary of the founding of that ensemble, Stevenson Productions released Charmer: The Perfect Cafe - a 20-song 'best of' collection of original songs from their eight album, 16-year history. Experience what critics have termed "timeless music". Early on, one reviewer dubbed Charmer “the perfect café band” - indicating they were the alternative to music only late at night in smoky clubs. In short - great 'anytime music'. From 1973 until 1989, their unique harmonies and original songs were accompanied by acoustic guitars and basses, recorders, percussion, accordion and mandolin. Founded in Pensacola, FL by Dudley-Brian Smith, the group returned to Louisiana in 1976, by then made up of brothers, Joel, Bob and Dudley-Brian Smith. The group became a quartet in 1983 with the addition of Jan Dedon (later to marry Dudley), and toured throughout the southern United States playing a schedule of clubs, colleges, coffee houses, festivals, concert halls, and, of course, cafés. The group’s first single, A Place In Your Heart b/w Goodbye Old Friend, was released in 1977 on One Way Records and the first album, Only the Wind, in 1981 on Rapides Records. Seven more albums of original acoustic and vocal music came nearly annually after that and during their 16 years as an ensemble, and the group performed in concert with a host of folk and acoustic legends (Arlo Guthrie, Jesse Winchester, The Washington Squares, John Prine and many more), as well as Louisiana’s own LeRoux. In 1989, the group members felt the need for redirection and changed the group's name to Smithfield Fair. Shortly thereafter, Joel and Bob branched off to 'Diverse Peoples', performing popular and original songs with wit and energy, while Jan & Dudley-Brian pursued traditional Scottish music in Smithfield Fair. But it was the original songs that were their heart and soul. Those original songs cover a variety of topics, often with a wry sense of humor, and are as fresh today as when first recorded. The music of Charmer remains timeless, still receiving airplay throughout Europe and the U.S., and retains a warmth and sincerity that makes the listener feel the quartet could easily be performing right before them. In fact, Joel rejoins the line-up periodically to give listeners a taste of the way things started off. So, fix yourself something to eat or drink, sit back, relax and listen to Charmer - still the music for the perfect café! See what people are saying about The PerfectCafé . Richard Jenkins (Boulder), David Praet, & Bill Bennett. Artwork & Graphics by Mumblius & Vicki Chicola.